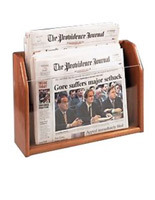 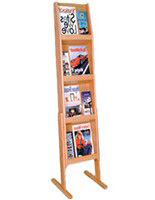 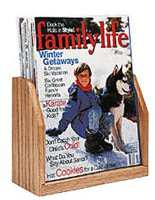 This wood newspaper rack showcases magazines and periodicals with elegance. 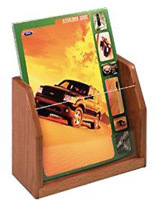 This single pocket countertop fixture can be placed in a retail showroom, service provider’s office, or hotel lobby to dispense reading material. 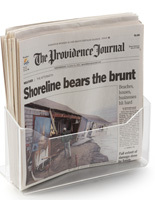 The newspaper rack has a clear acrylic front so contents are fully visible. 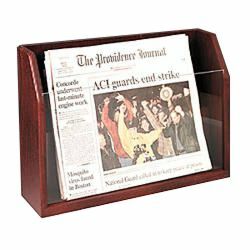 This reputable website offers these accessories with same-day shipping when in stock! 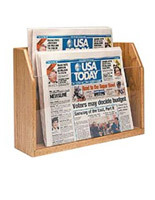 This rack, like all of our newsletter fixtures, is a quality product for less! 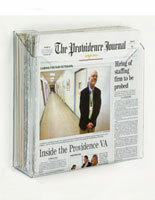 17.8" x 12.5" x 4.8"